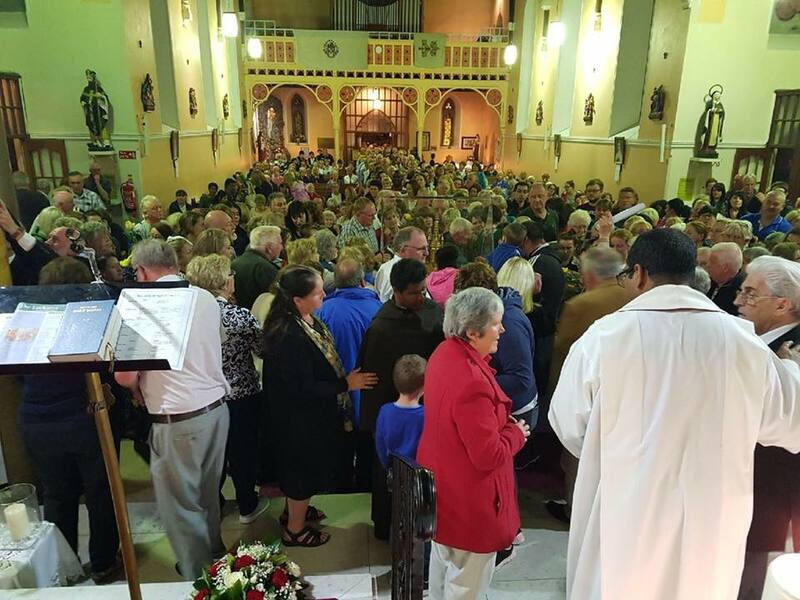 The crowds turned out in Kildare town for the procession of the Relics of St Therese and her parents St Louis and St Zeile Martin to the Carmelite Church last Monday night. 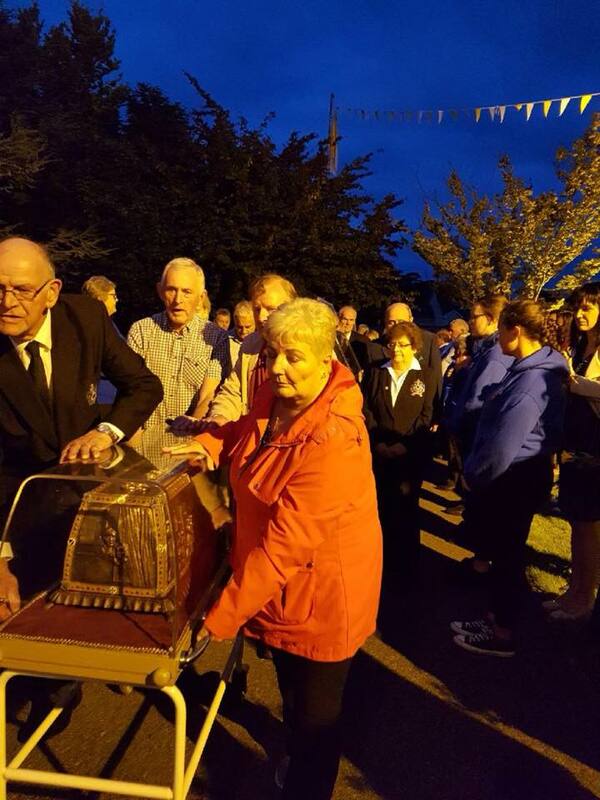 The Relics arrived first at St Brigid’s Church in Kildare town and were taken from there in procession to the Carmelite Church, White Abbey on Monday, August 20 at 8pm. The Relics received a warm welcome from those in attendance and a service of adoration and music with Dominic and Anthony McGorian was held afterwards. The Relics were there for 12 hours in total overnight until the following day, Tuesday, when mass was celebrated at 7.30 am. The Relics are in Ireland as part of the World Meeting of Families and they will also be present at the Papal Mass this Sunday. Therese Martin was the last of nine children born to Louis and Zelie Martin on January 2, 1873, in Alencon, France. Precocious and sensitive, her mother died when she was 4 years old. At the age of 14, on Christmas Eve in 1886, Therese had a conversion that transformed her life. From then on, her spirit turned toward love, and she later became a nun. She died aged only 24 of TB. Therese's spirituality is to do the ordinary, with extraordinary love.